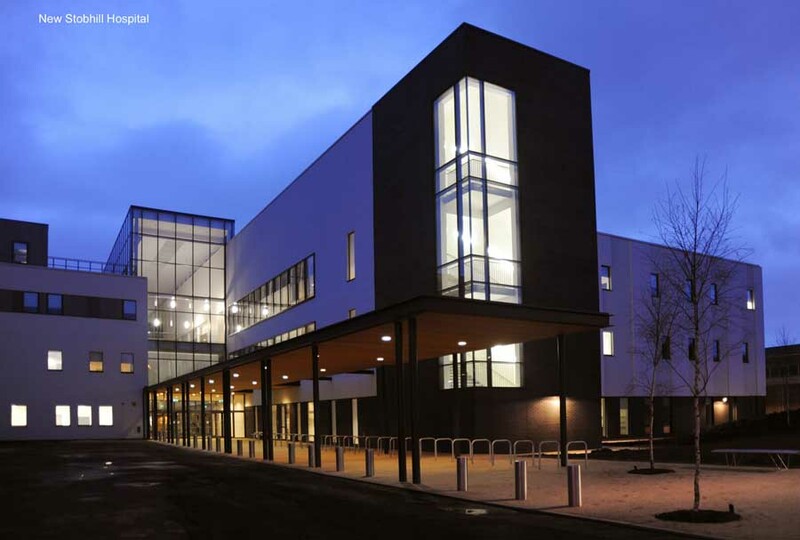 New Stobhill Hospital Ward Extension for NHS Greater Glasgow and Clyde has recently received an award for Best Acute Care Design at the annual BBH Awards in London and a Healthcare Design Award at the annual GIA Awards Dinner. 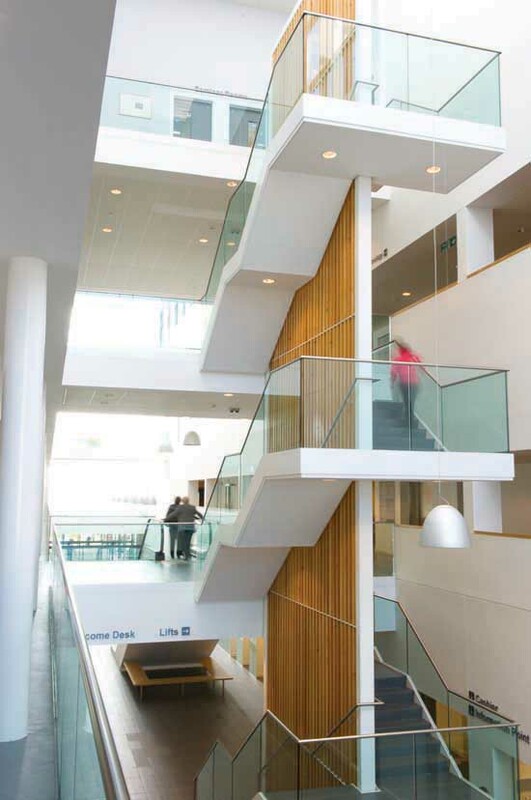 This new 60 bed ward extension contains day surgery support beds, elderly rehabilitation beds, support offices and a seminar suite – complementing Reiach and Hall’s New Stobhill Hospital which won the prestigious title of UK’s Best Designed Hospital in the 2009 BBH Awards and Best Healthcare Building in the 2009 GIA Awards. 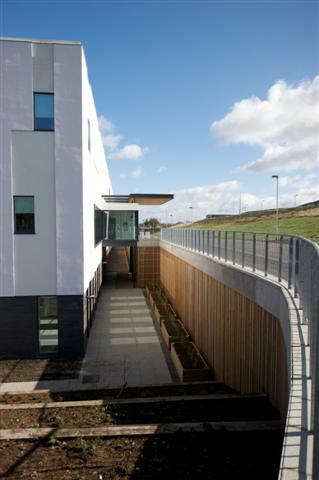 Reiach and Hall’s New Stobhill Hospital is the UK’s ‘Best Designed Hospital’ 2009. 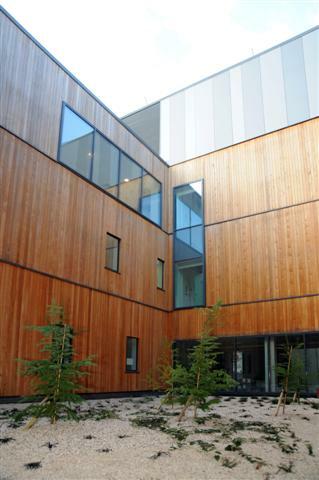 The coveted ‘Award for Best Hospital Design’ was presented yesterday at the annual Building Better Healthcare Awards 2009 and follows on from last month’s Roses Design Awards where New Stobhill Hospital won ‘Best Public Building’ and best of the best Architecture Grand Prix wins. 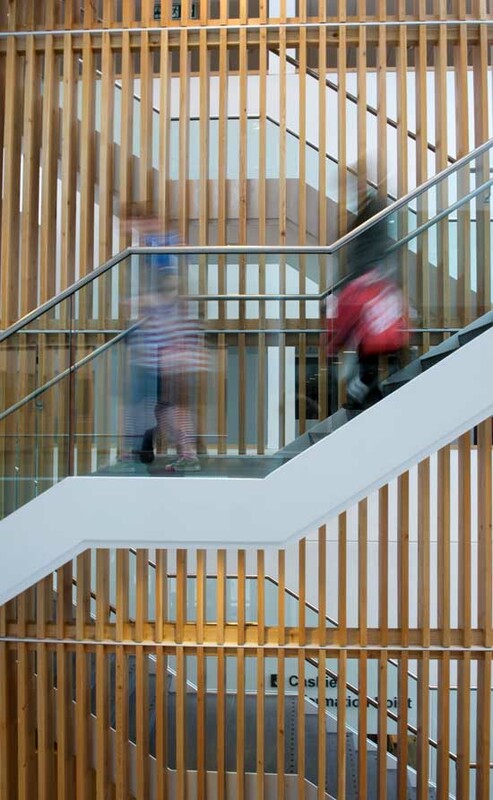 The BBH Awards aim to “raise the bar in healthcare building design, by recognising and celebrating all the best achievers from across the field, rewarding excellence in the healthcare built environment.” The awards are the biggest healthcare building design event of the year and all shortlisted projects are judged and visited by independent advisors and professionals. 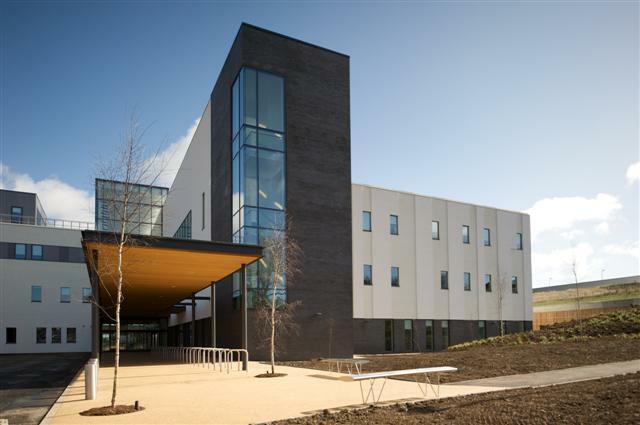 The new Stobhill Hospital is the first of its kind to open in Scotland with the ethos behind the project that the patient comes first: all medical tests and consultations will be carried out on the same day and on the same site if possible. 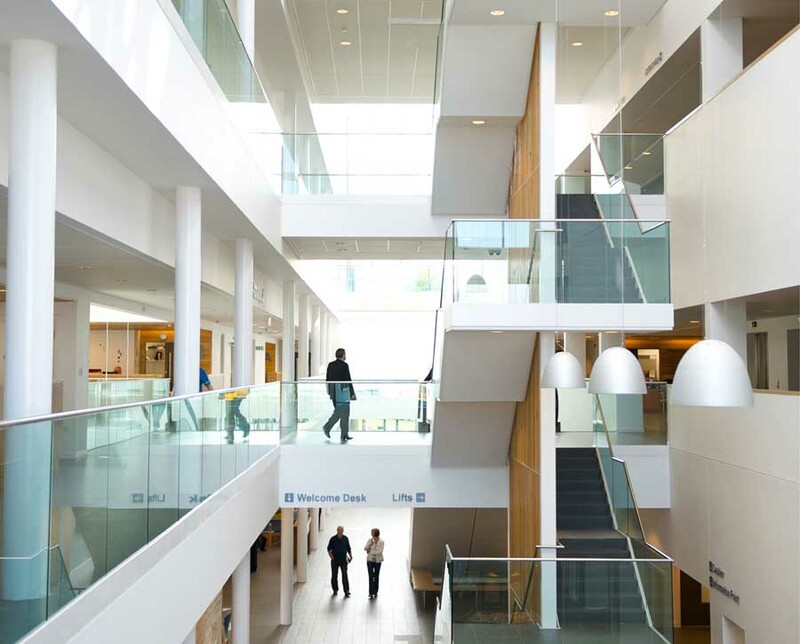 Upon entry the patient enters a full length, full height, glazed, public arcade, awash with natural light with a visible exit ahead easing the transition. The reception is immediately visible, and from it any department can be pointed out. All vertical circulation is at the centre of the space. 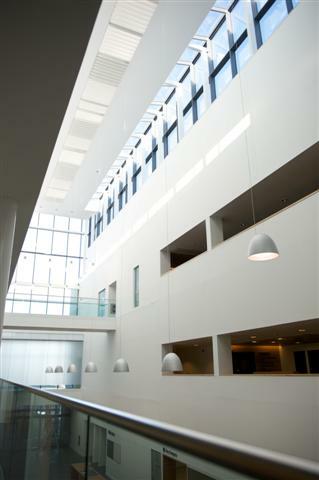 The arcade is the civic heart of Stobhill hospital. Its cafe has become a place for local people to meet and visit. 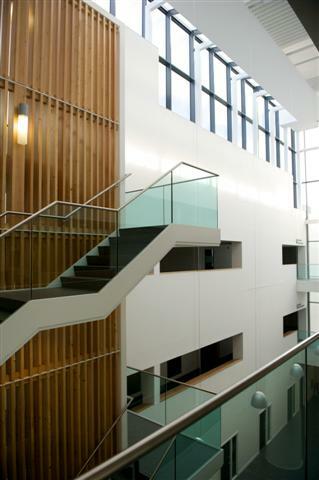 New Stobhill has a deceptively simple diagram – two blocks of accommodation, the north treatment block and the south consulting block, connected by the public arcade. 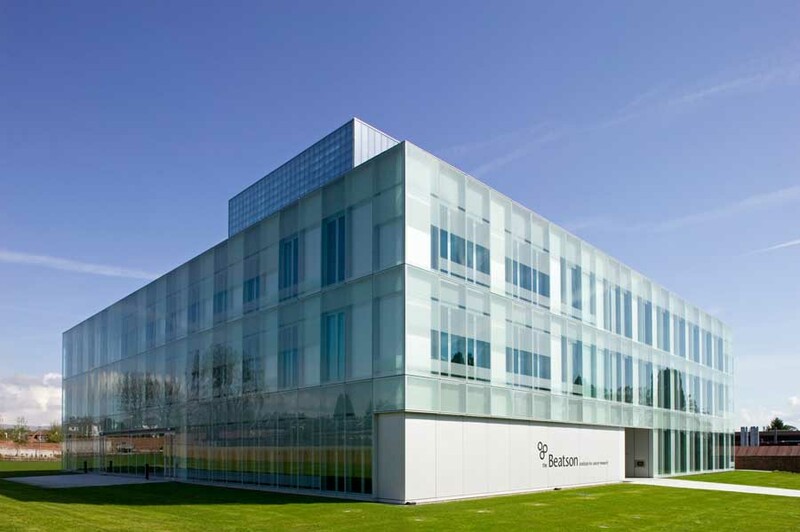 The design delivers flexible and adaptable clinical and staff environments and uses construction capable of alteration and extension. 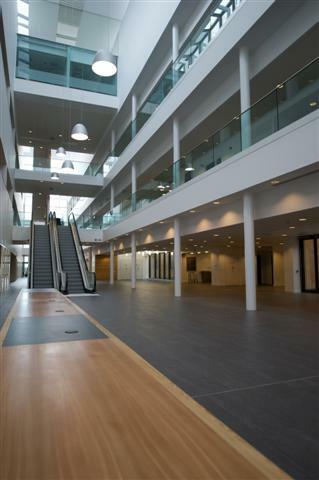 The entire top floor is devoted to staff accommodation – generous changing areas, bright offices, staff canteen with a roof terrace and stunning views to the Campsie Fells.